﻿ Crown Regency Hotel & Towers, Cebu | FROM $44 - SAVE ON AGODA! 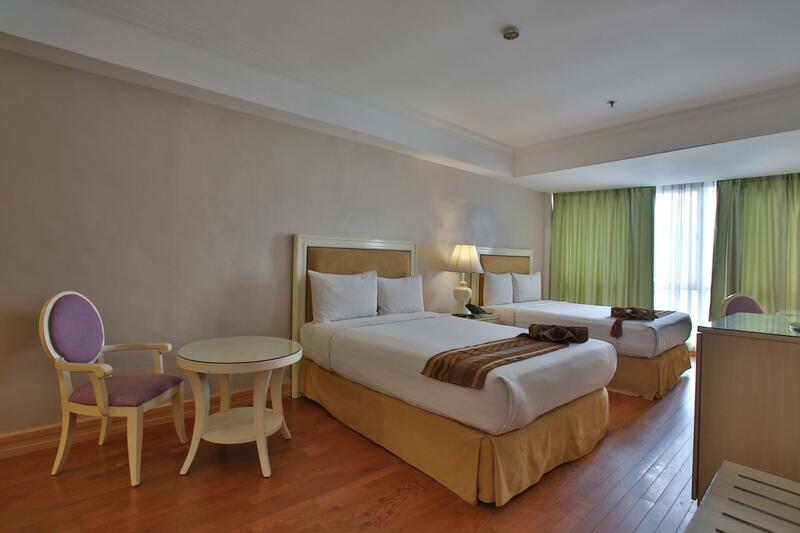 "Excellent location and the staff are nice and friendly"
Have a question for Crown Regency Hotel & Towers? "I love staying here , food is great and location is accessible to everything!" "The connecting elevators is fun for the kids!" 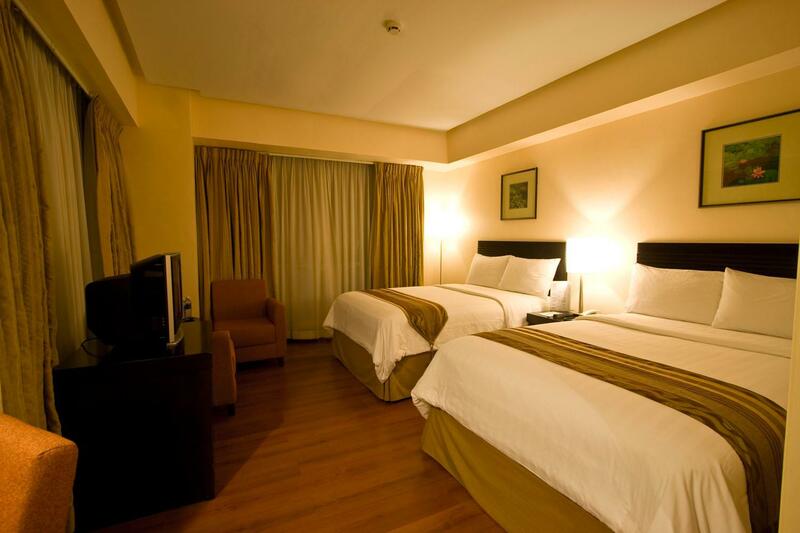 Situated in the heart of the city, Crown Regency Hotel & Towers is just minutes away from the commerce and recreation and 30 minutes away from the Mactan International Airport. 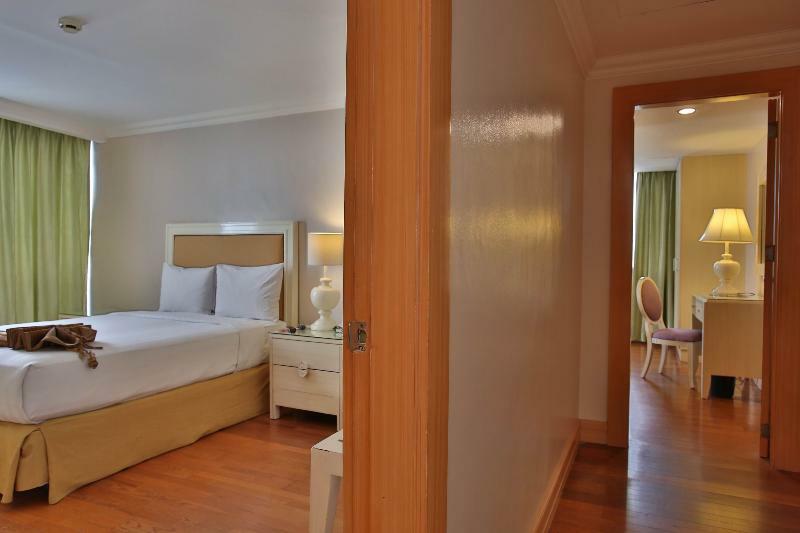 Boasting 341 rooms that are elegantly designed, most also offer a spectacular view of uptown Cebu. 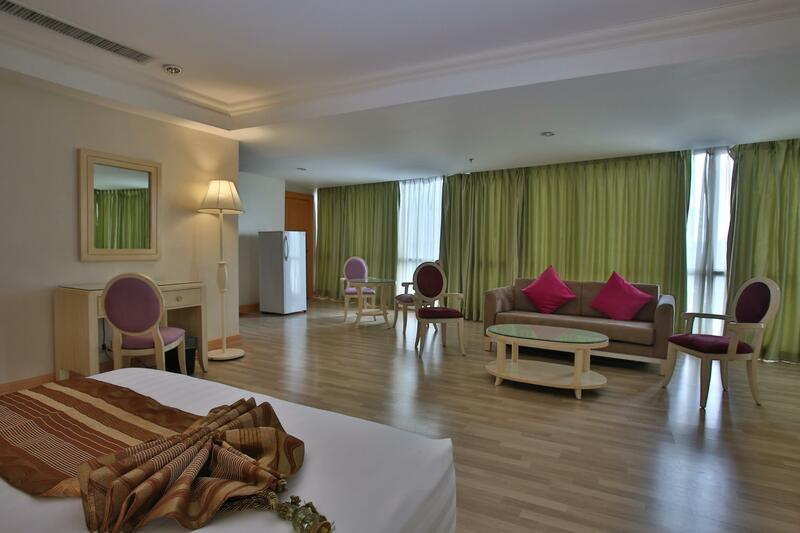 This property is a quality hotel that offers an ideal location and impeccable service suitable for business travelers and tourists alike. 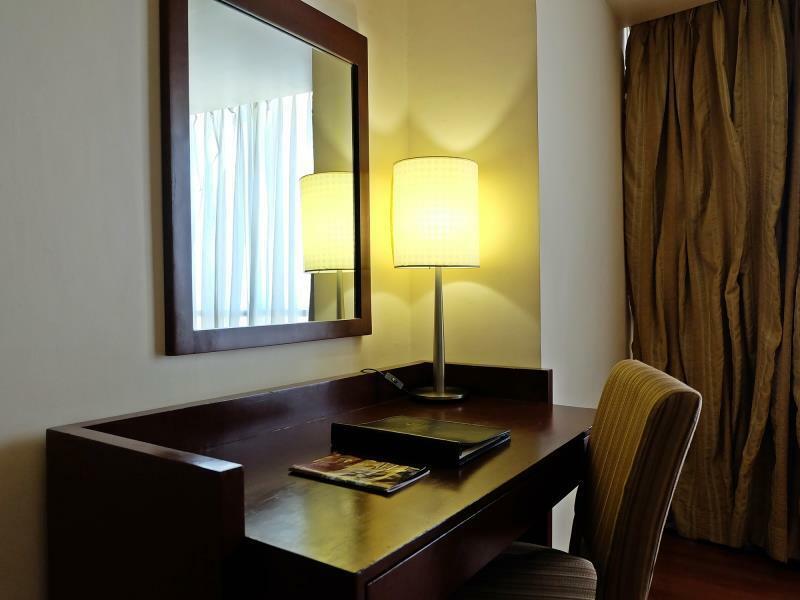 The hotel features an excellent set of amenities for business travelers, offering a 24-hour business center that is fully equipped. Guests will enjoy the family recreational activities, dining, fitness and beauty, Wang Shan Lo Chinese Cuisine, the Night Talk Lounge, and Sky Adventure on-site. 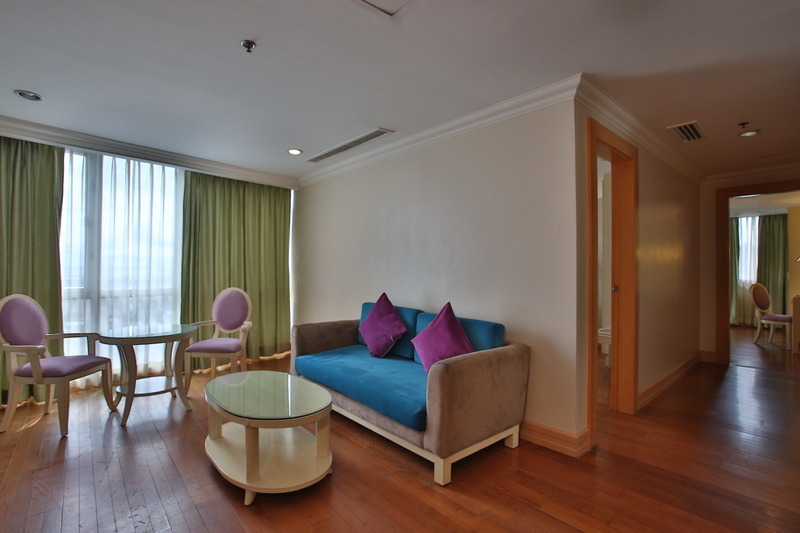 Crown Regency Hotel & Towers makes for an amazing place of stay. "Nice place to stay for a couple of days." There are plenty of things to here many eating places, good for kids also, rooms are a bit old and show their age but are ok . Service is ok more eftpos terminals would be better. I wasnt offered a tab for room service do kept having to find cash if the eftpos wasnt working. The adventure activities are cool. The views are amazing and memories for the rest of our lives. We will come back someday. The lobby looks fantastic but, I booked the junior suite and I couldn’t breath, it was covered in the strongest toxic smelling cleaning product I’ve ever had to inhale and not to mention but, the room was completely bare! No lamps, no artwork, no cushions. I couldn’t even climb into bed and then turn the light off because there was none and not all the ceiling lights were working. The pool area is completely devoid of any sort of holiday vibe, they don’t have a bar, nor is the sky bar actually a bar, it didn’t exist. There was also an area of the pool deck where they just dumped a whole lot of broken chairs and trash. There is a seedy casino within the hotel with unsavoury characters that you will bump into in the lift. The whole hotel is very seedy with lots of homeless at the entrance who will hassle you upon walking in or out. The staff however are fantastic and 5 star and the activities on the rooftop are very cheap and totally worth doing! Needed a gym for a week of workouts..fully equipped and well mainained...food was great and staff were all super friendly! The Crown Regency Fuente was once the tallest building in Cebu City and therefor attracted many visitors. The hotel itself is still reasonable, but obviously needs some renovation. Especially in the rooms I found quite a few things that need improvement. The staff are very friendly and accomodating, the Filipino style, always a smile. The restaurant offers a reasonable breakfast, the choice is a bit limited but it's ok. Unfortunately the availability of elevators is a problem, during my stay only 1 elevator worked, and that is not enough for a 33 storey high building. Needs improvement!!! Hotel is in need of a new makeover. Bathrooms are furnished with 2 bath towels , 1 hand towel and 1 cloth floor mat. No wash cloths No tissues and no biodet No robes Food caters more to the Asian choice. The room was good, but it needs updating to compete with other hotels. Television was old (too small), the mini fridge was empty. The bathroom shower, the handles needs to be updated and maybe labeled. I burned myself with the shower. The shower curtain also needs replacement. The hardwares needs to be polished. This is an honest review because i want to be proud if i recommend it to friends. I hope this is taken as a friendly advise. This is a very well known hotel and should be taken cared of. Room location was confusing for us to locate initially and the staff we met along the hallways were no help at all. I found a cockroach in my bathroom. Very disappointing. No Parking spaces available and no parking staff to assist you. Got ignored by group of 6 young guys as we arrived as it was raining and water drips onto arrival drop off area which is a bit dark and uninviting.I think they may have be trainees and they didn't seem to know what to do,so I was left to deal with our 5 bags.So not good start,bit confusing reception, your not guided anywhere in an airport style security so just did my own thing.I went to desk,but got told check in is next desk.So bit frustrated,good job we were just moving locally,not after 24hour journey!I found the room a bit tired and dirty,I cleaned all the surfaces myself as they were greasy.Bedding looked old.Bathroom was ok,but sink wouldnt drain.We chose this hotel for valentines day,but they couldny provide a vase for fresh flowers I had bought my partner.Breakfast was ok,but as usual no bacon,just Asian choices.Service from egg station was good,I think under training staff,my omelette was very nice.I had left 2 items in my room and only realised after arriving at another hotel.These items were located and handed to a friend staying aat same time,so plus point for that and staff in general.Do not think I would stay again as the advertised price seems way to much for level of decor and standard of cleanliness.Needs upgrading and new furniture was some of it was falling to bits. Old hotel but well kept. Staffs were very accommodating :) Expected more from the bfast buffet though. Good base for capital. Rooms adequate but in need of a makeover. The hotel is strict especially with the breakfast buffet. They said they will charge you if you have leftovers on your plate. And they will charge your child too if he/she is 4yrs old above for 250/plate. The hotel lobbies (elevator waiting areas) smells and feels outdated (old). The only nice thing we will like remembering with this hotel is that all the staff are polite and nice. They always greet you when they see you. 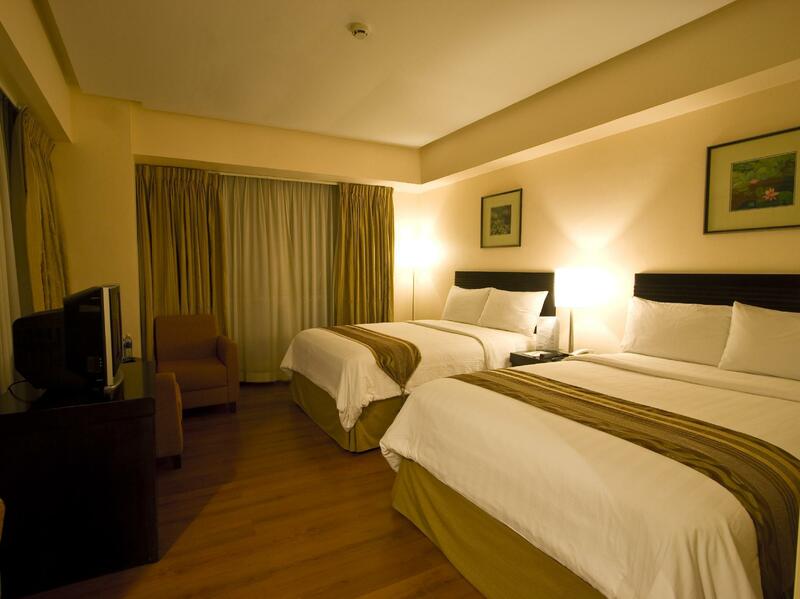 Staff in this hotel are generally very friendly and approachable when in doubt about anything pertaining Cebu. Location is excellent. Many shops, restaurants and shopping malls just beside the hotel. Bonus: Hotel's top floor has several exciting activities - Sky experience Adventures. For the 2days i stayed there was no hot water. Customer Service took a while to answer phone. Internet was also on and off, apart from being slow. I still like the location though as its at the center and convenient. Great value for the money. Room was great. I was concerned with some recent reviews but was not disappointed with this hotel. I have observed many westerners expect too much when traveling in Asia and Mexico. Staff was not flexible with some requests such as an early check in but they do not make the rules. You cannot check in before 2pm. When the internet did not work the staff came immediately and fixed it.